A food addiction is similar to drug and alcohol addictions in that it has a physiological and psychological elements. Environmental factors also play a crucial role. Just like quitting smoking isn’t as easy as flushing your cigarettes down the toilet, treating food addiction is not as easy as going on a diet or hiring a personal trainer. Without addressing the underlying causesof your addiction, you’ll likely fall back into negative patterns (such as binging and purging or crash dieting/yo-yo dieting) when you are triggered by a particular emotion or situation. The ‘underlying cause’ is often ignored in the physical health industry, but without treating the emotional triggers, recovery from a food addiction can be nearly impossible. This is something I feel strongly about when it comes to all addictions and is covered in great detail in my book, The Abstinence Myth. To treat the symptoms of any addiction whether it be overeating or drinking too much, we need to find the root of the problem. The consequences of a food addiction can be just as detrimental as a drug or alcohol addiction. Overeating can lead to obesity and this increases your risk for many medical diseases (for example: diabetes and high blood pressure). In the United States, more than a third of adults are obese. But did you also know that obesity is associated with Alzheimer’s? How can overeating and obesity hurt the brain? Obesity rates have dramatically increased in the last 25 years, with now more than 1 in 3 adults meeting the criteria for obesity. The baby boomer population (60 years +) have the highest rate of obesity (40%) and this raises the public health problem of increasing age-and weight-related diseases. Obesity is a preventable health problem, but it has been strongly linked to Alzheimer’s Disease (AD) in older age. Alzheimer’s is the most common cause of dementia, a general term for memory loss and other cognitive abilities serious enough to interfere with daily life. Alzheimer’s disease accounts for 60-80 percent of dementia cases. As Baby Boomers age, the number of Americans 65 and older will more than double from 2000 to 2050, and those 85 and older will increase fivefold. Advanced age is the strongest risk factor for AD, and AD is the most common aging-related neurodegenerative disease, with a projected 13 million or more afflicted by 2050 and with a cost of over $1 trillion unless effective interventions are implemented soon. While aging alone plays a large role in the progression of Alzheimer’s disease, obesity exacerbates the effects of aging on brain function. A Canadian study examining the effects of obesity on the way the body processes sugar (a factor involved in Alzheimer’s disease) in mice, found that the group of mice who ate high-fat, high-sugar diet over a thirteen-week period had higher rates of inflammation and insulin resistance (which are linked to AD), compared with the mice who ate a normal diet. The control group of mice (normal diet) also showed an increase in inflammation levels after the trial compared to when they began, which supports the theory that aging is the biggest factor in the progression of AD. However, a high-fat, high-sugar diet that leads to obesity exacerbates and perhaps even quickens the deterioration of brain function. There have been other studies that support the theory that obesity is linked to inflammation, which in turn affects the brain. Not only does obesity affect brain health, but it also affects mental health. There’s an abundance of research that supports the brain-gut axis theory, whereby a microbiome in the gut, when out of balance, it can impact mental wellbeing. What are some of the known causes of Alzheimer’s Disease? The causes of late-onset Alzheimer’s, include a combination of genetic, lifestyle, and environmental factors. A diet high in saturated fats and sugars, actually affects the parts of the brain that are important in memory function. When this is effected, then we are more likely to crave unhealthy food like fats and sugars. This is the biological element of a food addiction. Aging is also a key factor in the development of Alzheimer’s. Though there are many factors that may contribute to Alzheimer’s for the purpose of this article, we’ll just focus on this: Lifestyle and heart health. Despite the enormous impact that AD has, there are no biomarkers to clearly identify those at risk, public health prevention strategies in place, or treatments to address the underlying pathology or stop the progression of AD. There is ample empirical evidence that obesity and its metabolic and vascular comorbidities are related to AD. 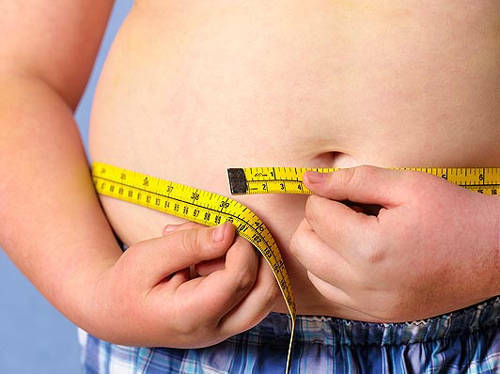 AD is a serious and daunting disease, but obesity prevention and treatment could prove to be an efficacious and safe approach to preventing or delaying that its onset. So if you are concerned that you are overeating or have experienced increased weight gain, improving your lifestyle and eating habits may decrease your risk of AD in older age. While we can’t explore all of theunderlying (emotional) causes of overeating and obesity in this article , we can look at ways to increase mindfulness about the food you are consuming. • Create a healthy meal plan for the week and stick to it, make sure every meal contains three things: starch, healthy protein, and vegetables. You’ll be less likely to binge on sweets or swing by the drive-thru if you eat satisfying meals regularly. • On that note, don’t go grocery shopping on an empty stomach! You’ll be tempted by the high-sugar and high-fat foods even with your shopping list in hand. Eat first and go into the supermarket with a list of things you need to buy for your meal plan- and don’t stray from it. • Practice mindful eating– don’t eat while scrolling on your phone or watching TV, eat free from distractions, and explore the food with all of your senses (not just taste). How does it smell, what is the texture, what sounds does the food make when you place it in your mouth, cut it or slurp it? By doing this you slow down the process of eating and you’re more likely to pick up on signals when you’re full. • Make your meals more memorable – This will help you eat less of the bad stuff. Cheke says there’s already some research showing that if you watch TV while you eat lunch, you’ll eat more and also be more likely to get hungry in the afternoon and later to eat more at dinner. It’s as though your body (and mind) hasn’t registered that you’ve eaten anything at all! This shows the power of slowing down meal times and being mindful of what you eat. • Be aware of your triggers – Do you tend to eat when you are angry, or sad, or bored? These triggers tend to point to underlying emotional experiences that are not being dealt with. If you believe you are an emotional eater, then seeking professional support to treat the underlying problem can help alter your eating behaviors. We have all probably experienced a “sugar craving” but that doesn’t mean everyone feels compelled to act on that craving, or binges on an entire cake. If you think you may have a food addiction, IGNTD recovery offers a shame free, stigma free way to getting help. Though we mostly cater towards those struggling with alcohol or drug addiction, nearly 1/3 of our clients have been dealing with food-related addictions as well.